Parents of current and former students can't say enough about La Petite Ecole! Our family feels so blessed to have found La Petite Ecole. It's in a beautifully wooded church setting! We feel it is a hidden gem that we discovered early this calendar year. Our 2 year old son has grown tremendously in knowledge, maturity & self-control. In just the few short months he has attended LPE he has learned many French words. He can follow teacher instructions & speak several words in French without even being prompted. We don't speak any French at home, so the idea of our child learning a foreign language that we don't know, was a little intimidating at first. We knew that getting our child exposed to a second language early was key to his growth & education though. It has paid off, he is excelling in his English language skills as well! The teachers & staff at LPE have been amazing! We couldn't be happier with how they teach & interact with our son. They're always willing & available to answer our questions too. Which we have lots because we don't know French & often ask for clarification as to what our son is saying at home. We love how welcome we feel at the school & all the fun activities that take place outside the school day allowing the families & staff to get to know one another. It's a fun place to get to be a part of! Our granddaughter has been attending La Petite Ecole for 4 years. Since I have shared in her transportation to and from school, I have seen first hand the quality of the program. She has thrived in the calm, nurturing environment. The teachers are absolutely the best. They truly care about the children and all aspects of their growth. Academically, the program is rigorous but individualized so that children can succeed at whatever developmental level they may be. The small class sizes make it possible for each student to receive one on one instruction when needed. Socially and emotionally Erin has made great strides. She is an only child so this aspect of development was very important to her. 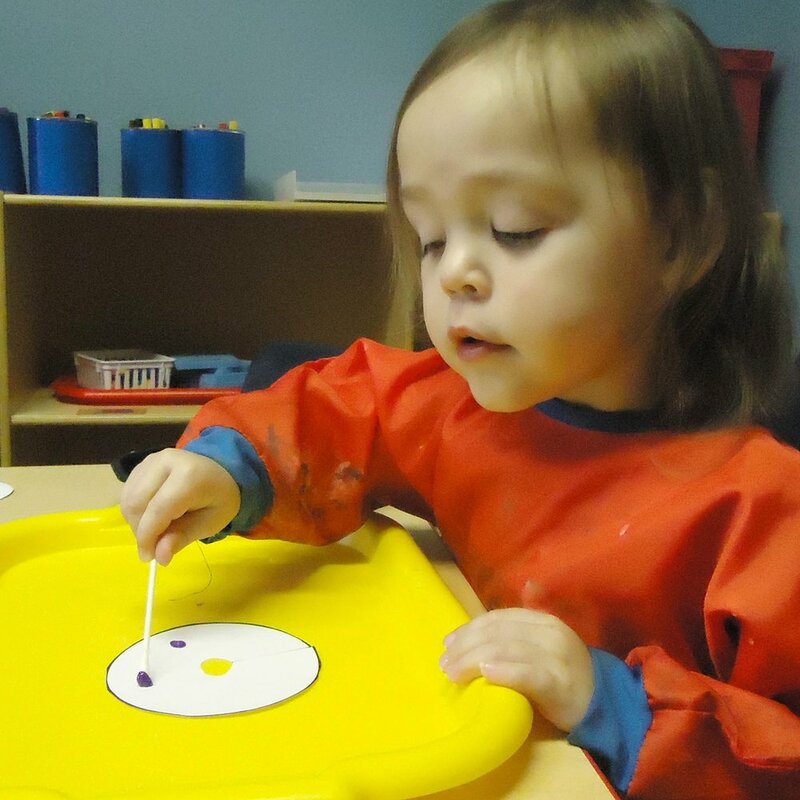 She has learned to play with others, cooperate in groups, and adjust to a variety of situations. She is learning to be a friend. I haven’t even mentioned the French. From day one when she was 2, the teachers spoke French. It was amazing to watch the little ones follow directions after only a few weeks. Now, she responds verbally when spoken to in French. 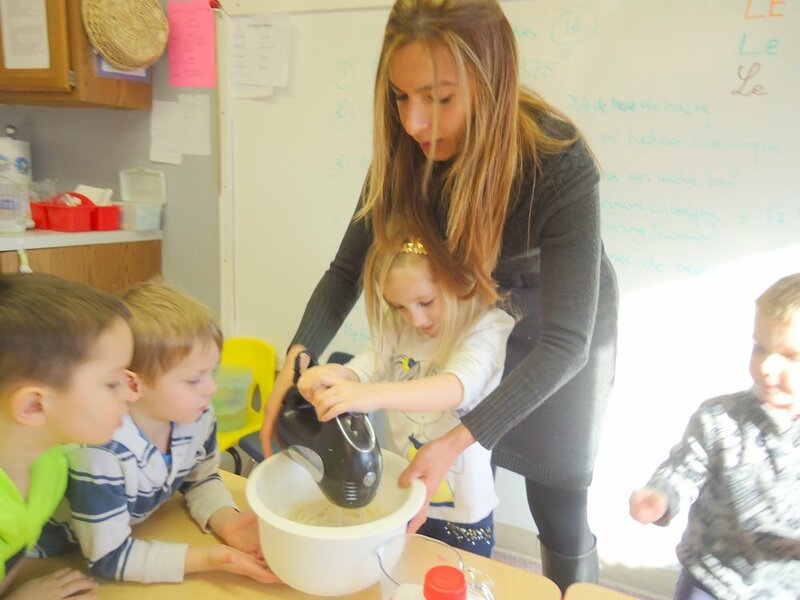 Learning a foreign language early has been credited with many positive outcomes, and we are so pleased with her opportunity to attend La Petite Ecole. Finally, our family feels so fortunate that we will remain a part of the La Petite Ecole family as she joins the 1st Kindergarten class for the 2017-18 school year. My child celebrated her 4th and 5th birthdays at LPE. In the years she spent at LPE, my child’s experience has been so rich. I feel awesome when I think that I made one of the best decisions in my life; having been a student at LPE will be the positive drive for my little one’s present and future life. At LPE, my child found a chance to flourish and succeed in science and math, received countless number of hugs and kisses, and as a BONUS she became fluent in French. All of this and more was made possible by highly motivated team members who love what they do and are experts in doing it! La Petite Ecole is an exceptional school with so many highly desirable qualities. My husband and I could not be happier with our choice to send our three children… to this warm, creative, and different school. The immersion aspect initially drew us in, as we had read so much information about the benefits about bilingualism. Since becoming a La Petite Ecole family, we have seen a significant increase in, not only the French, but also the English language skills of our children. Wonderfully, we have discovered that this school offers so much more than just the knowledge of multiple languages. We have seen extreme growth in their math, science, reading, writing, and social skills as well. The teachers are fantastic dedicated individuals that really adapt to the personality of each child to help them grow in their own way. The small student to teacher ratio allows the teachers to offer plenty of one-on-one education and confidence-boosting support. I see my children learning through many different teaching methods, keeping them intrigued and stimulated. The teachers are always open and communicative. I always know exactly what my children learned, excelled at, or struggled with each day. La Petite Ecole strongly encourages family participation, support, and engagement. Due to this, students and their families grow close throughout the years and become lifelong friends. I enjoy watching my children’s healthy relationships with teachers and fellow students grow, encouraged by the school’s emphasis on values, respect, and personal responsibility. I love hearing my children ask me each evening if they “get” to go to school tomorrow. They never ask if they “have” to go. The difference between these two small words is so significant in a child’s life and speaks volumes to me. It warms my heart to know the love and pride they have for their school. I appreciate that they are learning at a young age what a joy and privilege a good education is. Each day, when I pick them up and see the huge smiles on their faces and hear them chatting a mile-a-minute about their day, I know we made the right decision in our children’s early education. The Bonjour Bébé program is a fun way to introduce your toddler to the French language through songs, stories, and play. I believe that the program assisted my daughter in easily transitioning to the Toddler Class. It was a great way to meet other families interested in introducing their children to the French language. La Petite Ecole is a wonderful school! Our daughter attended LPE for three years and we could not have been more pleased. The teachers are experienced and dedicated to the students. The academic program is excellent. There is so much emphasis on writing, reading, math, and all of the necessary subjects, as well as the French. It was incredible to see how easily the children absorbed the language. The alumni program has been so helpful for our daughter to retain the language skills she has learned at LPE. La Petite Ecole was the best start for our daughter’s education and we are so happy that she was able to attend this school! If your child is going to learn math, science and reading anyway, what a gift to give her another language at the same time! That was what my husband and I thought when we were choosing a school for our 5-year-old. And immersion seemed so natural. Just a couple of years before as a toddler, our daughter had unlocked the mysteries of a language that was spoken all around her. She still must have those tools. I took years of French, learning the traditional American way of memorizing vocabulary lists and conjugating verbs, which trained a proficient reader and listener. But if I tried to speak French, I found myself stumbling over mental conjugation and t speak it? So why not try immersion? The result was amazing! By the time our youngest child was ready for school, we had moved to Columbia, where no elementary language programs were offered. But then La Petite Ecole opened. Despite LPE at that time offering only half-day preschool programs and our child was entering kindergarten, we knew that learning a language even in a preschool s preschool s small class sizes, curriculum and language immersion fed his curiosity and challenged him, giving him an excellent foundation for the future. immersion camp each summer. I think language study has gives him a much bigger view of the world and makes him much more ready to go out and greet it.